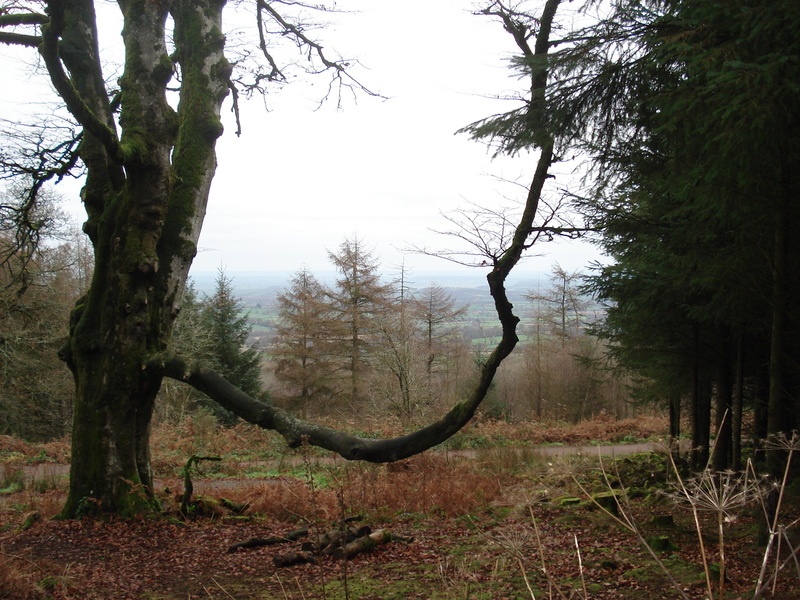 The other day we went for a lovely walk at Staple Hill. 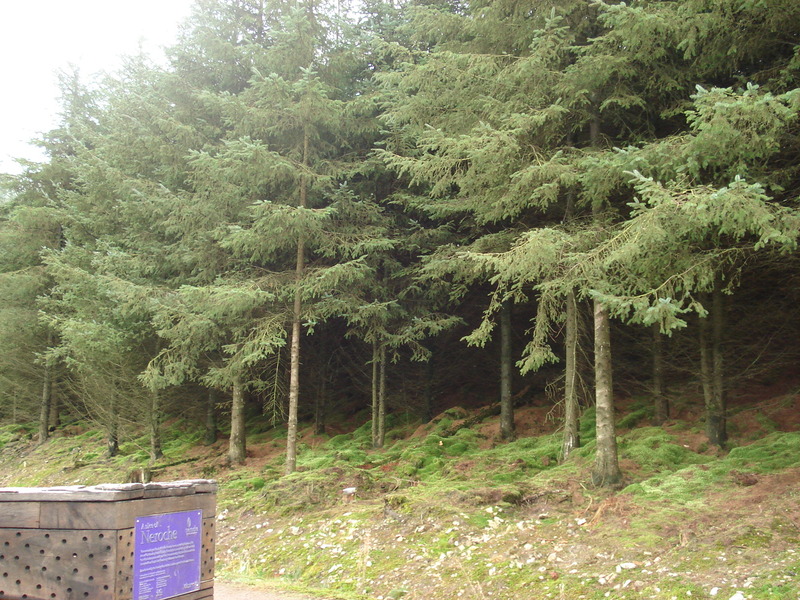 It’s only a 5 minute drive from here and is managed by the Forestry Commission as part of Neroche. There are signed paths and viewpoints. The forest is dense pine forest. 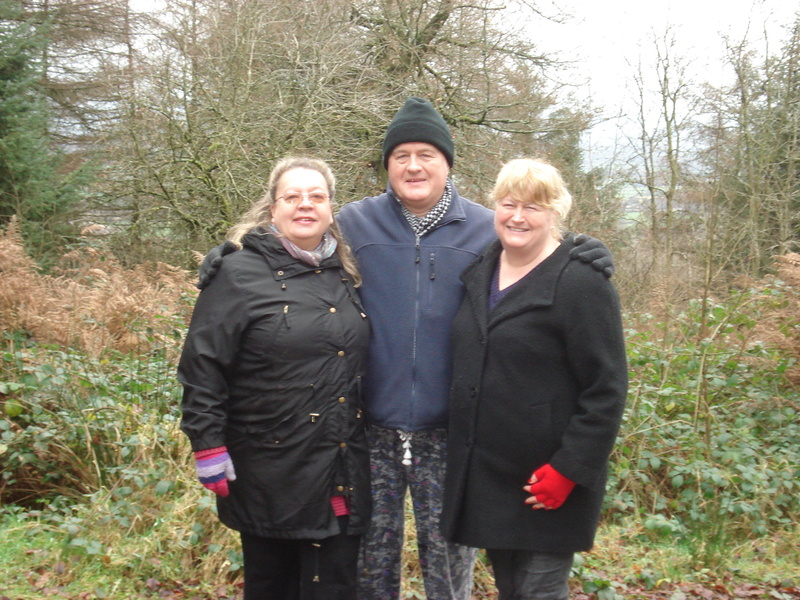 We did the short loop walk, where there is a proper made up path so not muddy, and various benches along the way for people to sit. This path is suitable for wheelchairs and pushchairs too. 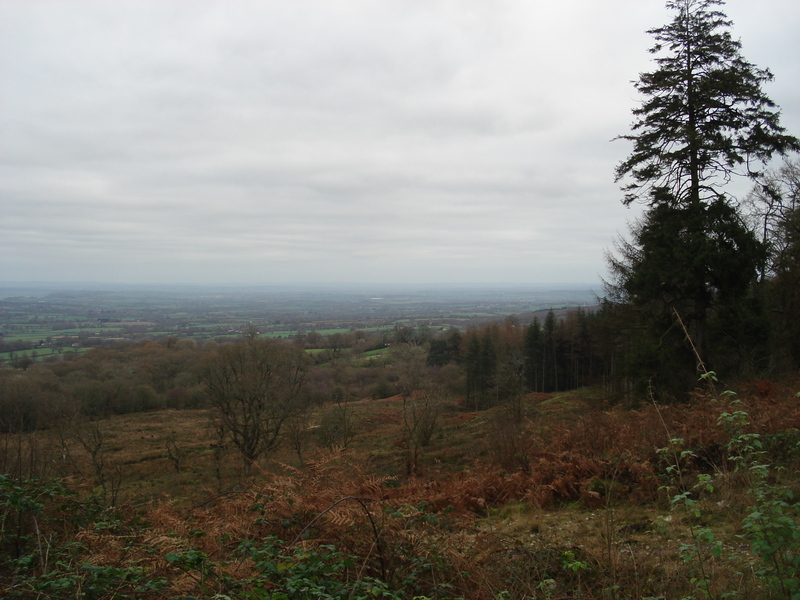 Along this walk are a couple of viewpoints with fantastic views across the west country. On a fine day you can see as far as Wales. It was a bit overcast when we went but still the views were marvellous. The car park is free, which is nice to find in this day and age. We met several people walking their dogs or their children!! So we asked someone to take a picture of all 3 of us. Our Xmas lunch was lovely. The turkey we had won was delicious. I cooked it slowly for 3 and a half hours at a low temp, with streaky bacon over the top and then foil over the top of that. It was moist and lovely. The turkey we won was jut 9lbs weight so just right for 3 of us. 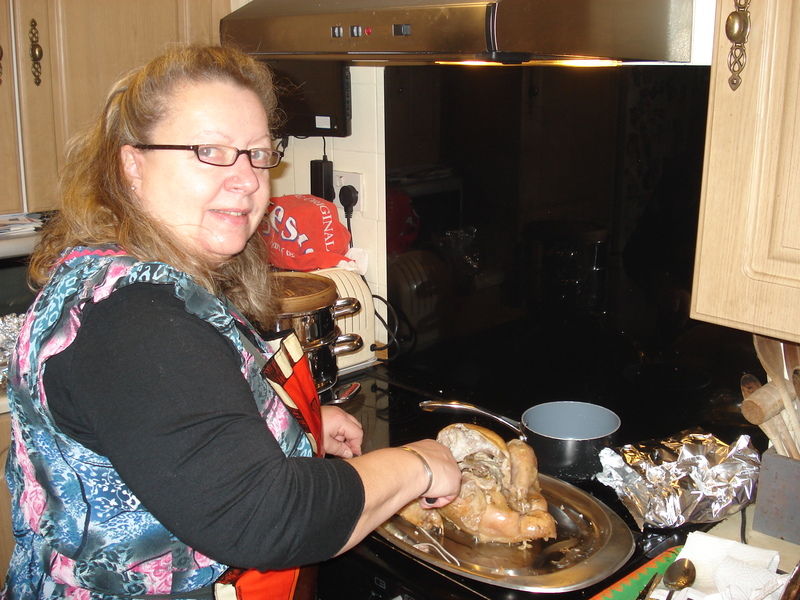 I carved all one breast for Xmas day, and then we had the other side as cold meat with chips on Boxing Day. We had the traditional vegetables to accompany our turkey. Roast parsnips, carrots and potatoes, and brussel sprouts and cauliflower, sage and onion stuffing and redcurrant jelly. Absolutely delicious. 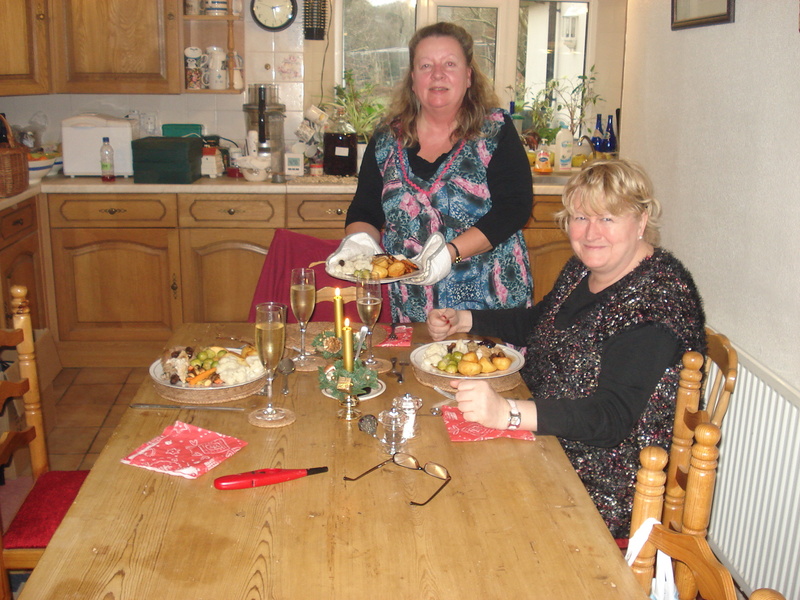 Here I am serving up Xmas lunch with Neil’s sister. For pudding we had traditional Xmas pudding, that I had won in the Xmas bazaar, and mince pies with cream. And then we sat down to watch the Queen at 3pm. We’d been wondering what to do about a turkey. There are only going to be 3 of us on Christmas day, being Neil and his sister and me. So we didn’t want a really big turkey or we’d be eating it all week long. The free range Bronze turkeys from a nearby farm were over £50 and much too big for us, and I was coming to the conclusion that I would have to go to Tesco and buy a frozen one. Then we heard about Turkey Bingo. It’s a Christmas tradition around here that happens every year. 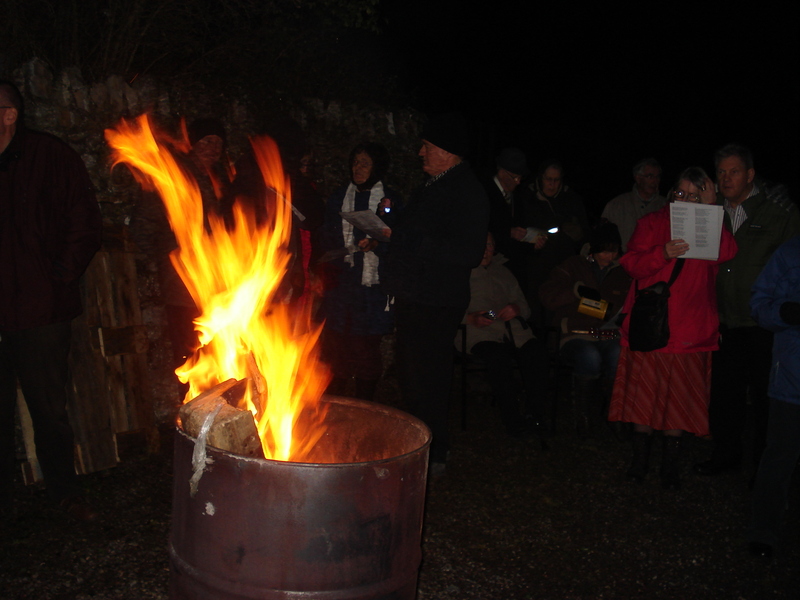 The villagers from Bishopswood and Buckland St Mary get together for Turkey Bingo, and that was last night. You play 10 games and a bonus game. For each game the person to get the first full line wins a bottle of wine, and then the person to get full house wins a fresh turkey each time. We weren’t doing very well, needing at least 3 numbers each time by the time someone had called full house. Then came the bonus game. 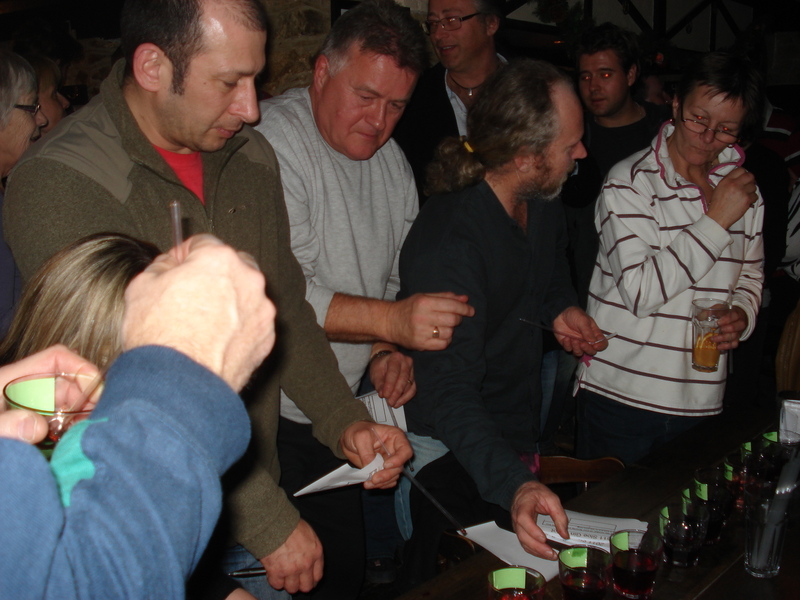 In this game the person with the first full line won a bottle of sherry and £3.00. 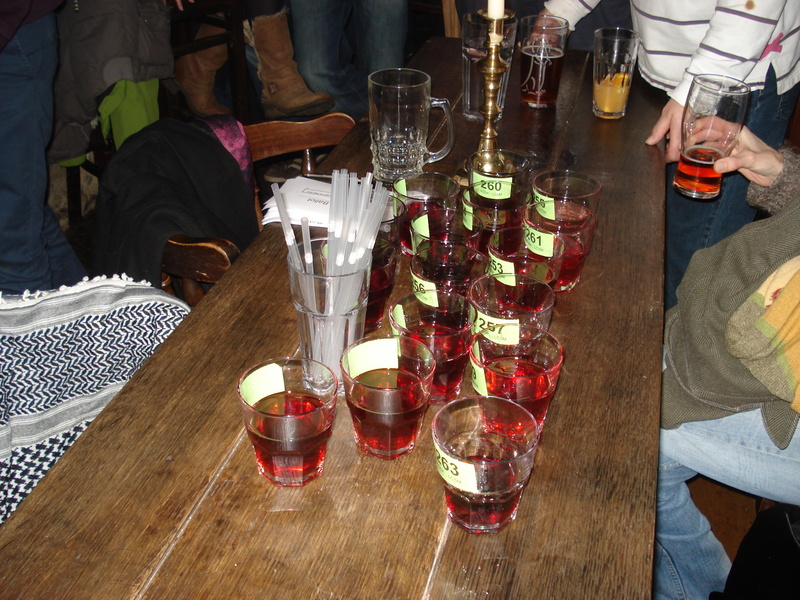 The person with the first 2 full lines won a bottle of whiskey and £5.00. 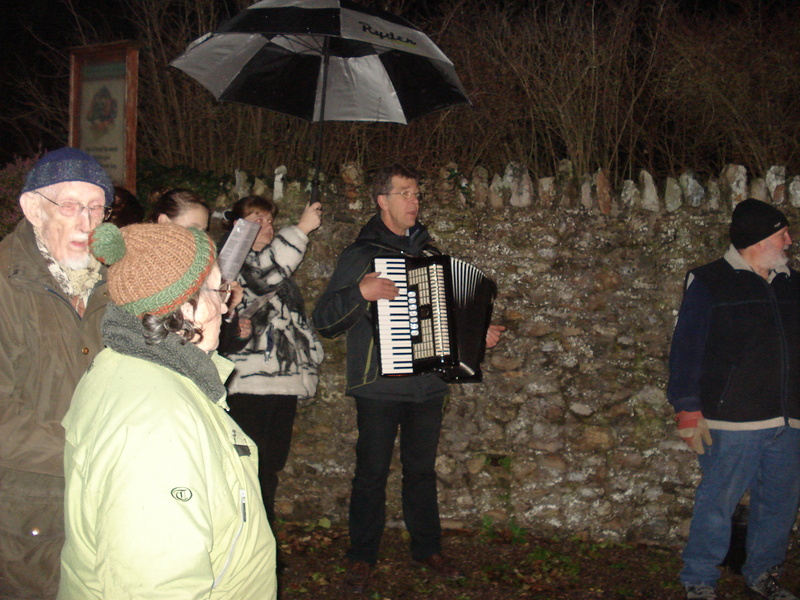 And the person getting full house won a turkey and £10.00. And what did Neil do? He only went and won the turkey and £10.00! We could hardly believe our eyes. Neil has never played bingo before in his life and didn’t really think it would be his thing. But he got the best prize of the evening. 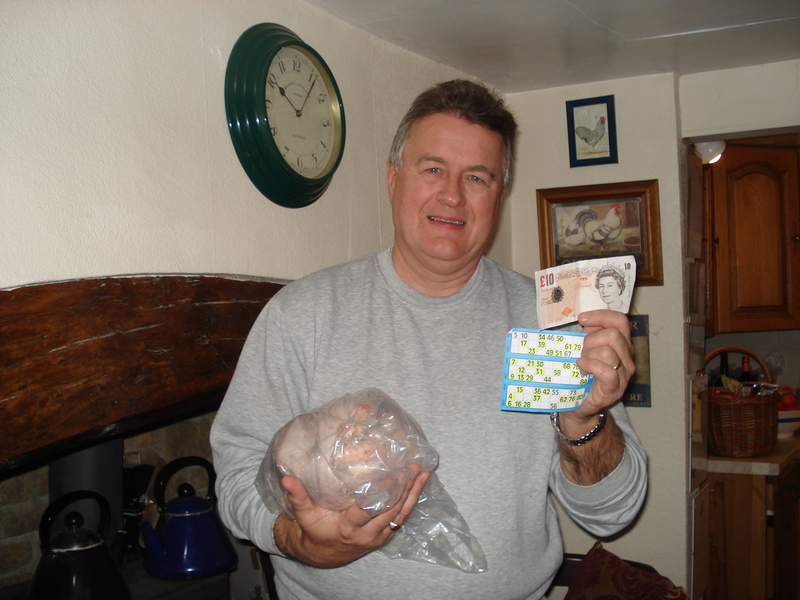 So here he is back home showing his winning ticket, the £10.00 and the turkey. And what is more this turkey is exactly the right size for us, not too big and not too small, just right for 3 people for a couple of days. Talk about beginner’s luck.